Being a cat person, couldn’t resist making a card to celebrate the National Cat Day and what better way to do so than with An Awesome Cat card. I worked the designs on watercolor paper, Ink Potion No 9 to increase the effect and spread the irRESISTible paint. Using mainly the Memento Grape Jelly color, I let it come in contrast with the white paper and the red bow, making the card look lighter. GooseBumps gave a great result making the stars vivid and separating the color shades. Cut a 4 x 6 inch watercolor paper card. 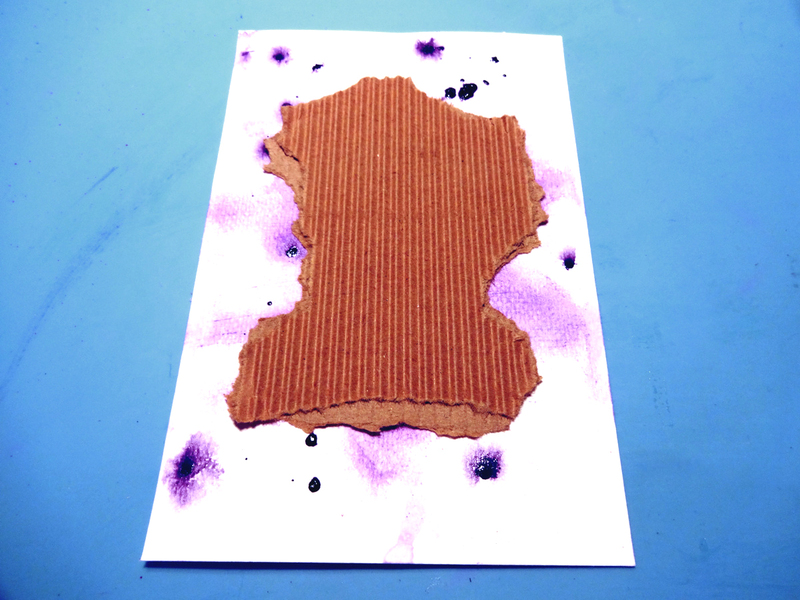 Using a sponge lightly distress the card with Memento Grape Jelly. 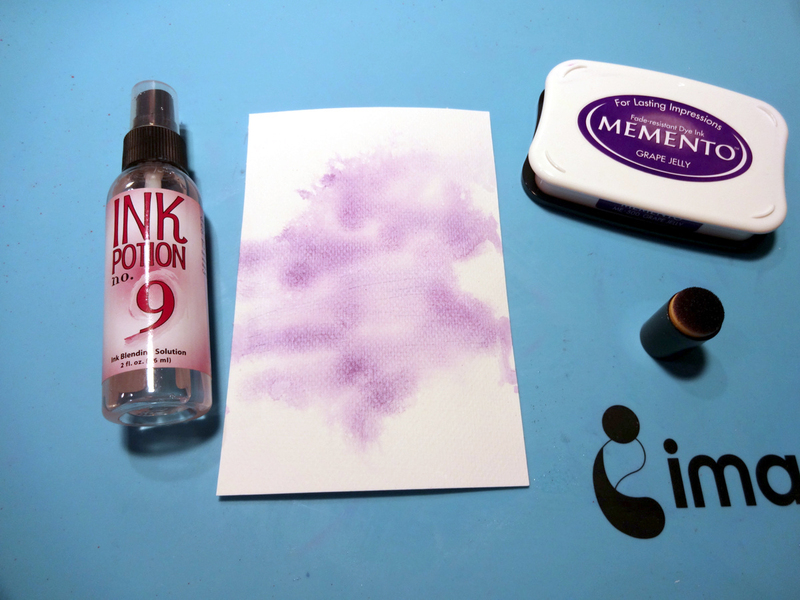 Spray with Ink Potion No 9 and dry with a heat gun. 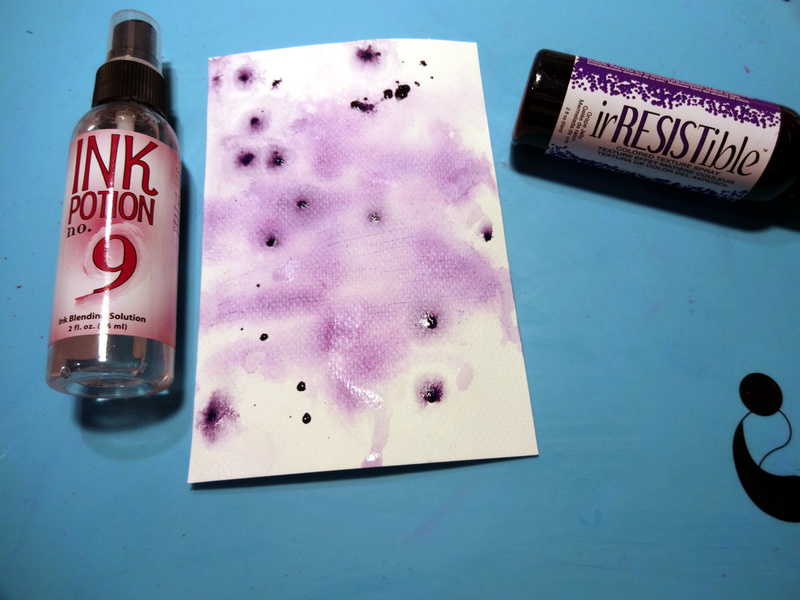 Sprinkle irRESISTible Grape Jelly on the card and immediately heavily cover with Ink Potion No 9 aiming at the irRESISTible paint spots. Dry the card with a heat gun. 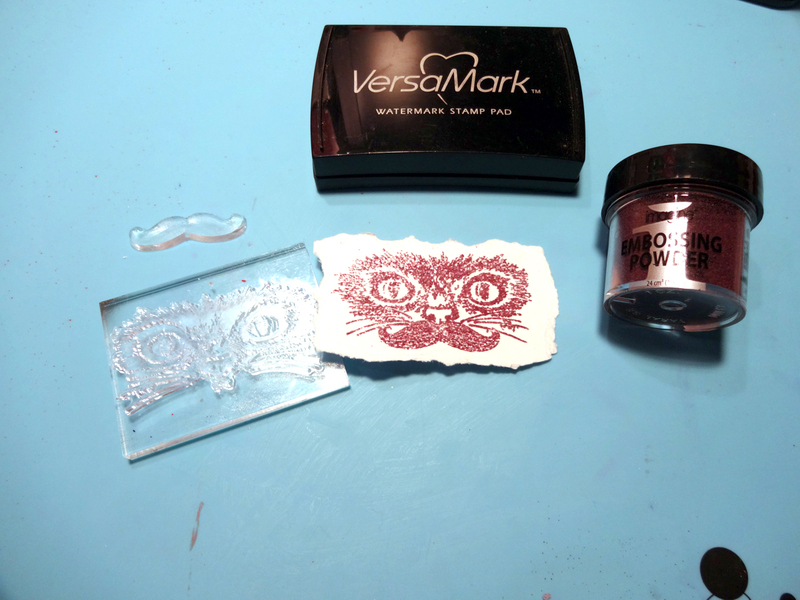 Use VersaMark and Imagine Embossing Powder in Vintage Plum to stamp the cat stamp on a distressed edges piece of cardstock. Die cut the stars with a nesting set of dies in order to create a punch out in the center. Spray them with GooseBumps and let dry then color with Memento Grape Jelly. 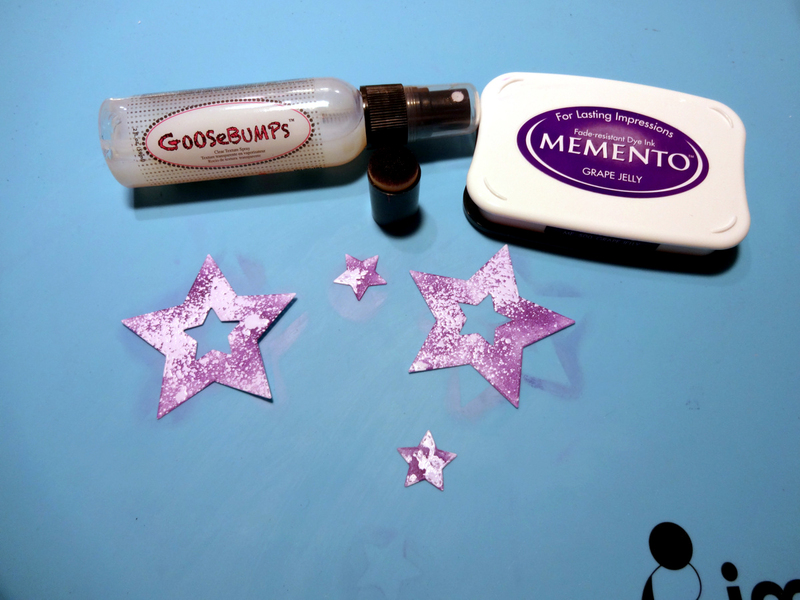 The Goosebumps acts as a resist and will lock the white paper in place while the Memento ink will color what is exposed. 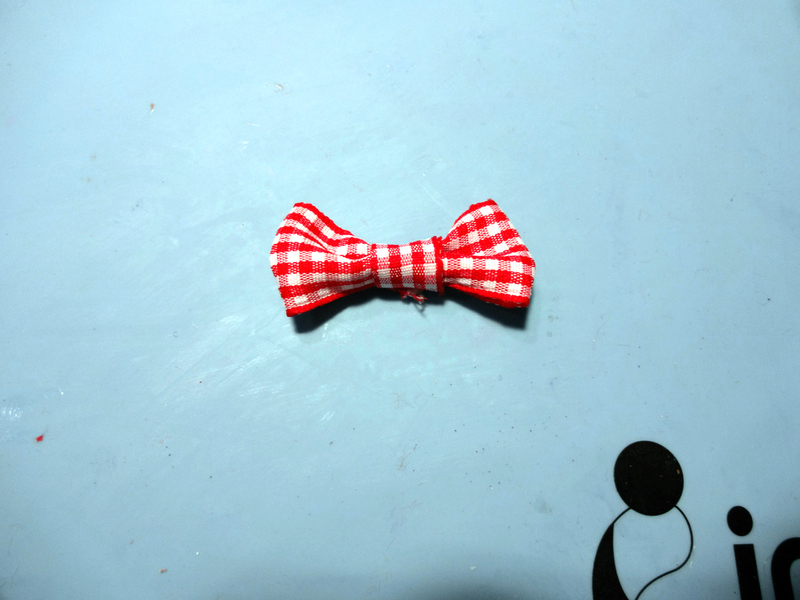 Cut a small piece of ribbon and form a bow. 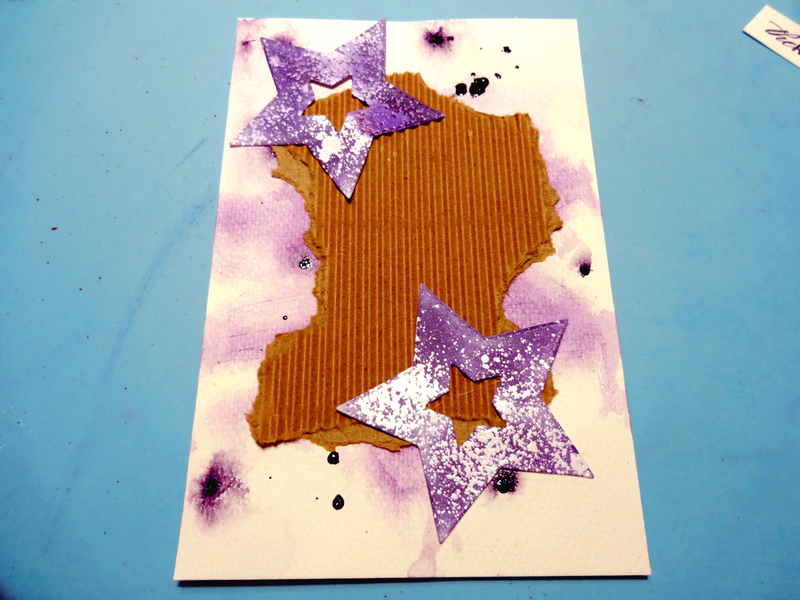 Cut and distress all the edges of a piece of corrugated paper and glue it on the card. 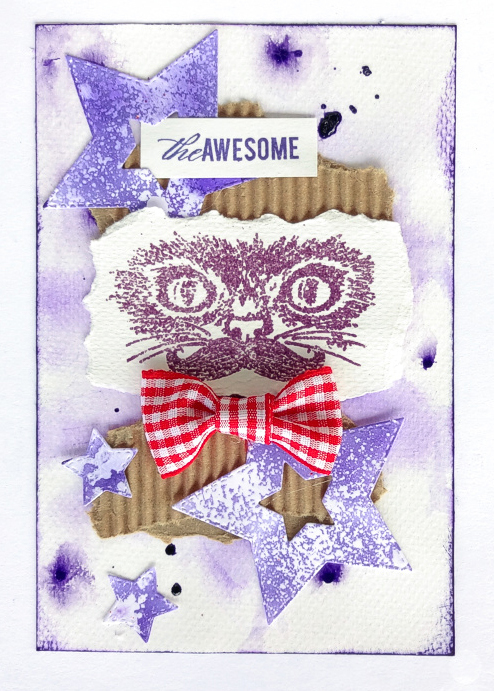 Finish the design by attaching the stars, the cat stamped face, the bow and the sentiment “The Awesome”. Continue detailing and personalizing this card until it is the work of art you desire! If you enjoyed this tutorial then please comment below or share! This entry was posted in Cards, DIFFICULTY LEVEL, DIY, INSPIRATION, Intermediate, Kyriakos Pachadiroglou, PROJECTS and tagged cardmaking, DIY Inspiration, Embossing, Embossing Powder, Handmade, Ink Potion No. 9, Memento, Memento Ink, National Cat Day, On Point Glue, VersaMark. Bookmark the permalink. ← Do you Dream of Cotton Candy Themes? Wow !! This is such a creative card !! This cat card is so incredible! Love it! !